Here, Black can eliminate the cramping e5-pawn with 8…f6 with good piece play and open f-file, at the cost of a somewhat bad bishop and backward e-pawn. However, there are many different variations and subvariations in which one can consider an …f6 break (in non-Tarrasch lines as well), and suffice to say that not all of them are good. Admittedly, I’m not an expert in the French, and I’m not sure how much studying one would have to do to cover all of these scenarios. My personal advice is to not break out …f6 when in doubt, since it does create weaknesses and in many cases can be delayed with few major consequences. It’s easy to take the …f6 break for granted in lines like the above, but it does weaken Black’s center (two hanging pawns) and king. It (more or less) works for Black in the above Tarrasch because White’s pieces are not well-developed enough to take advantage of the weaknesses too soon and Black is positioned well to defend and even counter-attack due to the open lines created by …f6. Black played 7…f6 here. At first it doesn’t look too bad because the center is relatively closed and White hasn’t castled. But White’s pieces are much more developed here than in the first example, so attacking the d5/e6-pawns is a lot easier. Note that White hasn’t committed the light-squared bishop and still has the option of g3/Bh3. That wasn’t Black’s only mistake, but it quickly made things more difficult for Black. After the natural 8. Qd2 a6 9. exf6 Qxf6 10. O-O-O Bd6 11. g3! b5?? (not what Black needs to be focusing on!) 12. dxc5 Bxc5 13. Bh3 Black’s position is virtually beyond repair. Although it doesn’t immediately work out tactically, White is already entertaining the idea of Nxd5 (as happened a few moves later). Unfortunately, the rest of the game was not particularly hard to predict. White soon won both the e6 and d5 pawns, and still managed to attack Black’s weak kingside. This goes to show how seemingly insignificant differences can completely change the positional assessment of an …f6 break! Here we go again! Material imbalances. The amount of articles about material imbalances seems never ending… don’t worry, there’s only a finite amount of material combinations to write about! Anyway, this time we’ll be taking a look at the pawns versus minor piece imbalance. The number of pieces on the board – with the help of a few cronies, the minor piece can be a lot more effective than the three pawns. The more pieces, the better for the side with the piece. The number of pawns on the board – the more pawns there are on the board means that there is a larger chance that the side with the piece will queen one in the endgame. A simple example to illustrate point #2: say black has an extra piece and white has pawns on f2, g2, and h2 (original, I know)! If that’s it on the board, then white has all the winning chances, though it is objectively drawn. However, if you add some extra pawns on the queenside, far away from the white king, white is going to be in trouble, if he isn’t lost already. Of course, other factors in the position should not be ignored, but those two are fairly logical rules that I’ll try to apply to the following three examples from my games. Let’s not go to any extremes early…. This position is unusual. Black is temporarily a pawn up, but the pawn structure is plain bizarre. I could have gone 31… Qe8, but I didn’t like the prospect of dealing with white’s central pawn mass and my shaky g-pawn. However, my silicon friend says black is perfectly fine…. Black temporarily has four pawns for the piece. The g7-pawn is going to fall next move, but the other three pawns are fairly secure. Black’s king will be safe hiding on a6, while white’s king is exposed and could be the victim of a perpetual. There aren’t enough pieces or pawns on the board for white to be better – the position is objectively equal. After the queen trade, white will win black’s remaining pawns on the queenside, but his king is too far away from the queenside. Black will make a draw by getting all the pawns off (he actually only needs to get the c-pawn off because the a-pawn is of the wrong color…). After 40.Kxh4 Qxf6 41.Bxf6 Kb5 42.Kg5 we agreed to a draw. Yes, this game was a mess. It’s in the databases, you can replay it here. My opponent sacrificed a piece for an attack, but nothing much came out of it. Queens were soon traded, and I had a piece for three pawns. It was a situation where I, with the piece, was on top. Things soon went haywire in time trouble, and after missing a couple wins, I reached this position. With my last two moves, I decided to bring my king into the game. However, I began to regret that after seeing the strength of the white bishops. Basically I didn’t want to get mated. Therefore, I played 38… Bb3? allowing a rook trade that favors white. Instead, I should have just gone 38… Ra2! where white has no mate (or any trace of mate for that matter). I needed to keep the rooks on, and had I done that, I would have been much better. After reaching the time control, I realized that black doesn’t have much, because the white b-pawn is running fast and will tie up the black pieces. With the king on e5, I could go Nd4 here which would make for a totally different story. Later on, I declined two draw offers in a dead drawn position and tried playing for a win, getting myself in trouble in the process. Fortunately, it wasn’t anything serious, and we made a draw. What’s the moral of the story? Passed pawns without any heavy pieces on can be annoying and hard to deal with! However, I can’t talk about annoying passed pawns without mentioning the next game. Now, how should white win? Let’s first get one thing clear: all four passers will not go marching down the board side by side until the finish line. No, no, no! We’re being realistic here… a fast passer or two should do the job. Black’s hope to survive here is to make noise with the rook + knight combo. In light of that, white’s best move here is 47.Rf5!, giving up the e3-pawn. However, after 47… Rxe3+ 48.Kf6, white can push his g-pawn, and all noise is too late. White is just winning. Instead, Akshita gave up yet another pawn with 52.h5 Rg8+ 53.Kh4 Nxf4. White doesn’t have enough to win, and we soon drew. What’s the overall conclusion? First of all, the power of the pawns should not be underestimated in the endgame, especially with no rooks on the board. 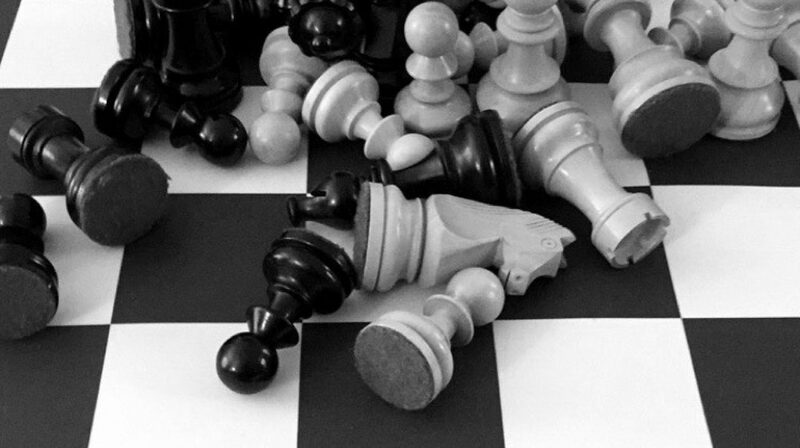 In light of that, the side with the piece should, in general, try to keep the remaining pawns on the board, and the side with the pawns should trade pawns – with caution, of course! Blindly following principles is never a good idea! The pawns vs. minor piece imbalance is a fascinating one and isn’t easy to figure out. Anyway, I hope what I’ve said in this article makes sense, or that at least it’s made you think about it. Until next time!